Long term relationships are hard to find these days, but you are one of those, you are extremely lucky! There are a million reasons long term relationships are the best. You know better! From knowing the person in and out to having that someone special beside you always, there is something ridiculously HOT about long term relationships. 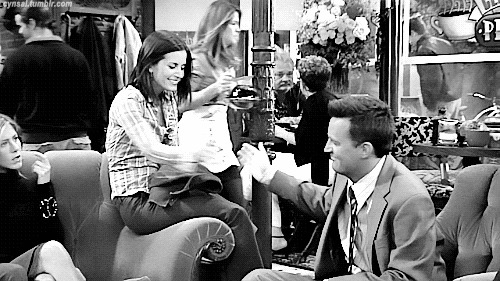 We bring to you some of the best reasons why it always works between the “Chandler and Monica” of your group. She could be snorting while she laughs and he could be burping after every meal. It always works! Nobody ever gives “the look” for such things that could be quite a disaster for people into short term relationships. So they are very much in love and probably because it has been quite a while it may not be too obvious anymore but there are subtle cute signs. In spite of the kind of impact both have on each other’s lives, they are able to keep their individualities intact. They hang out with their friends individually as well. You may not even know the kind of turmoil they might have been through in those years of their relationship, but they always figure it out; because they have each other. All of us know the kind of couples who talk against each other before their friends for the slightest of arguments. Bringing in a third party into the relationship turmoil is the worst thing ever! Instant death! These guys will never do that! A common issue with several couples is that they are lovers, not friends. But not these guys! They are friends first and love follows. So adorable! They are fun when they are alone. They are fun when they are together. There is never a dull moment and they don’t keep fixating over each other. They never act in a way that makes the rest of the friends awkward. No PDA before the group. Period. Chasing dreams and following the heart has always been their motto. Neither do they interfere nor do they hold back each other from doing what they have to/want to. They might have not even thought about it, but the chemistry between them says it all. You know it will happen someday. She knows where his keys are and he knows what pizza toppings she likes. That has to be enough a sign! Funny stories will be shared with the friends! No offence meant and none taken! The coolest part about them is that they don’t care about “being the cool couple”. They are too cool to care and that is awesome! Are there any other signs of mature long term relationships we have missed out? Share in comments.